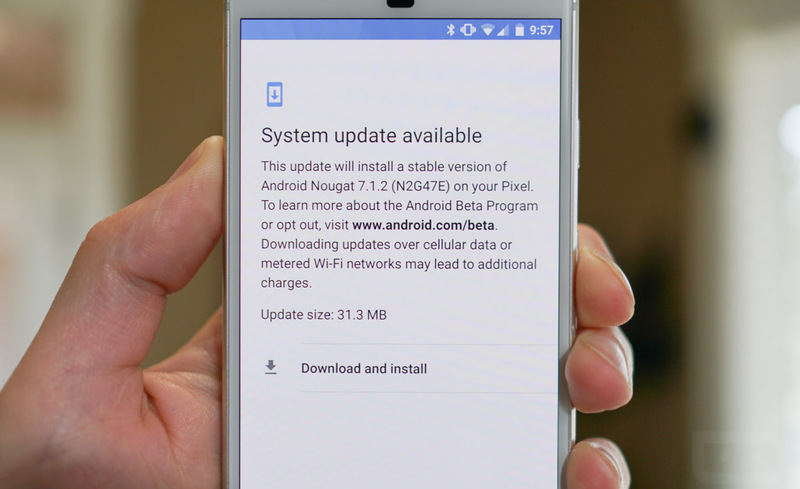 Participants of the Android Beta program who happen to own a Pixel or Pixel XL can finally grab the stable 7.1.2 update that Google released earlier in the month. Why the wait? Good luck ever getting an answer on that from Google. It is here, though! I was able to pull the update on regular Pixel units running AT&T and Verizon SIMs. The update is showing as N2G47E here in the US, which isn’t new and was a part of the early April rollout. It weighs in at about 31MB. To grab it, head into Settings>About phone>System updates.